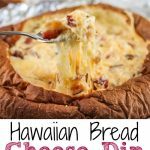 This Hawaiian Bread and Cheese Dip is the perfect appetizer for game day and makes a great addition to any party. This recipe comes from one of my “extra” moms, Robyn. The saying, “it takes a village to raise a child,” was true in my case and I was blessed with a big village filled with great people. This recipe is one of her staples and every time I make it I think of her! This recipe really is as simple as them come. To make the dip you mix all the ingredients together, easy peasy. To make the “bread bowl” cut a hole in the Hawaiian bread about the size of a salad (or bread- 4 to 5 inches across) plate. Gently cut the top off like you would when carving a pumpkin. Save the top. 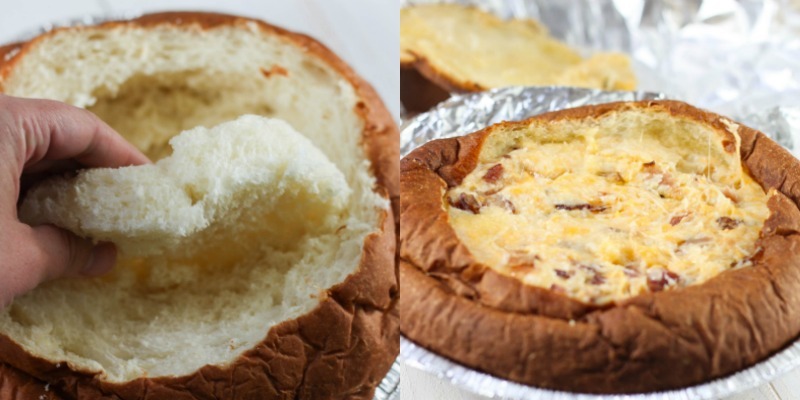 Pull out bite size pieces from the inside of the bread bowl and set aside. But be sure to leave a think enough wall that the dip doesn’t leak out. Place the dip in the bread bowl and replace the top. Cover lightly with aluminium foil (so it doesn’t get too dark) and bake until done, aka, stringy, cheesy, bacon deliciousness! Cut a hold in the top of the bread (about 4 inch circle) and save to replace. Pull or cut bite-size pieces out of the center of the bread until it is like a hallow bowl. Save bread pieces to use for dipping. 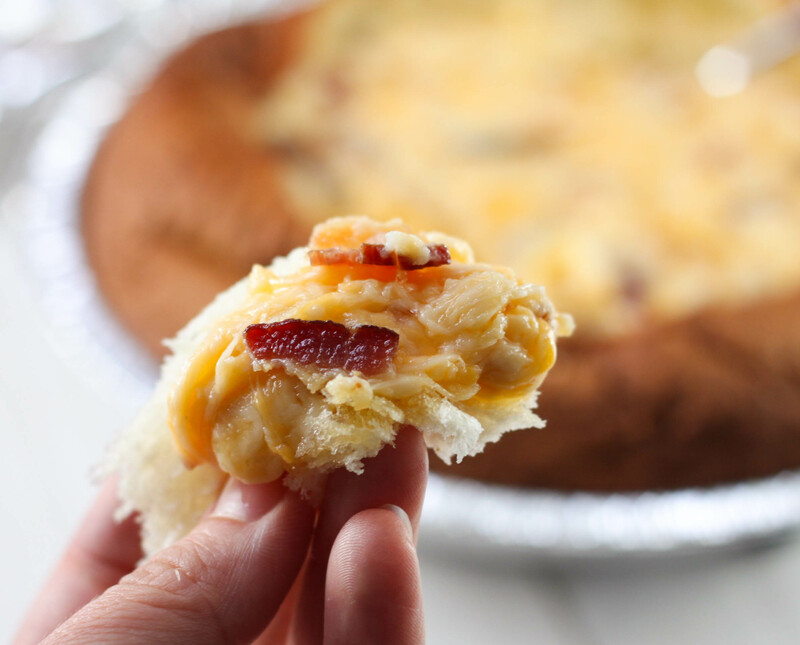 In a medium size bowl, mix cheeses, may and bacon together. 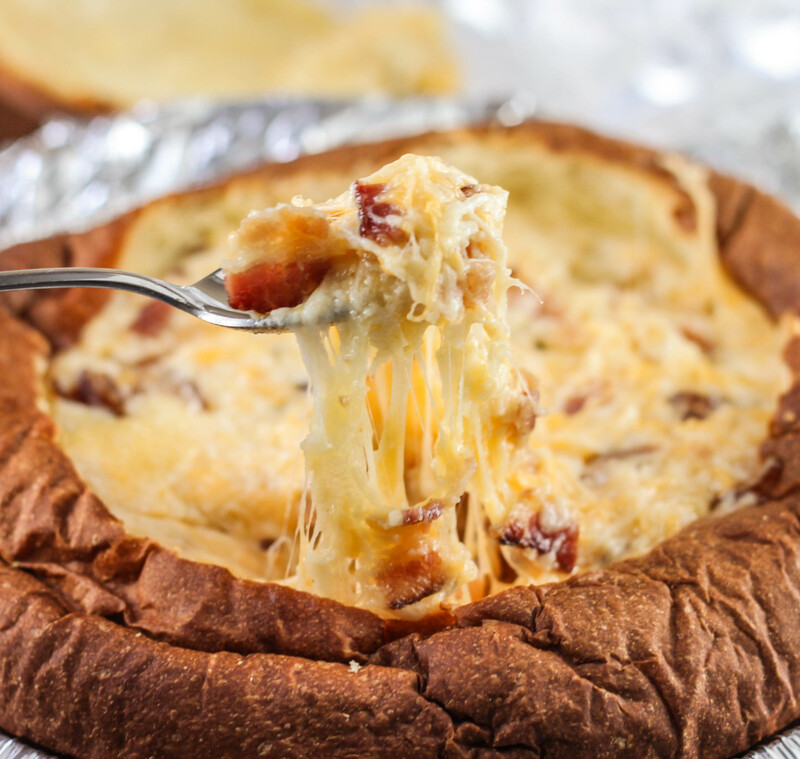 Spoon mixture into bread bowl and replace the top. Cover lightly with foil to keep the bread from getting too dark. Serve warm with bread pieces.